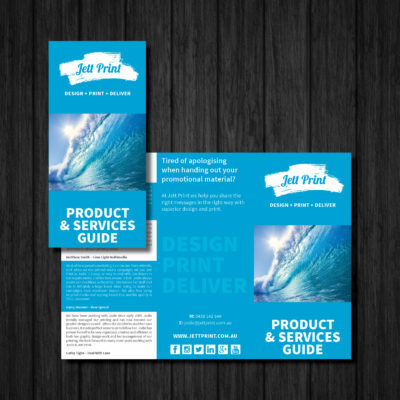 Newsletters are the perfect way of regularly keeping in touch with your clients, unlike emailed Newsletters, hard copy Newsletters have an almost 100% open rate. 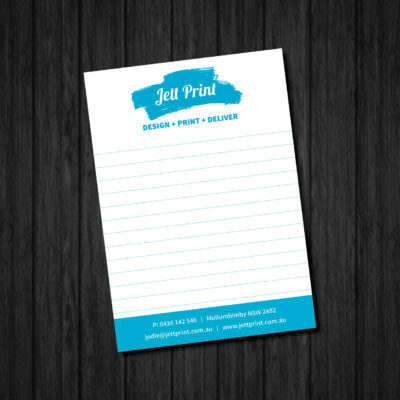 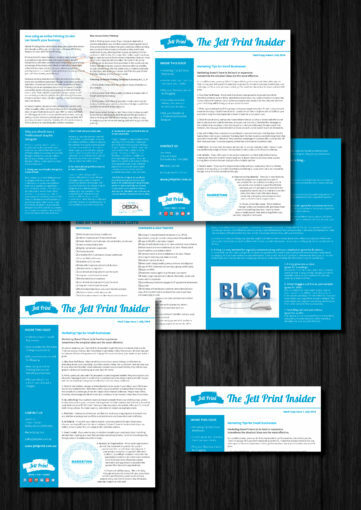 Jett Print Newsletters come in a standard size of A3 cross folded to DL to fit inside a regular envelope, this equals four A4 sized pages and are printed full colour on a High Quality 150 gsm Gloss Paper. 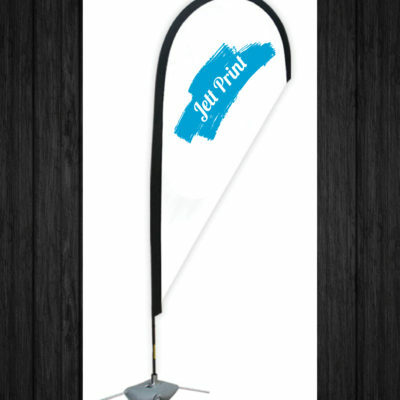 Other stocks, sizes & print options available POA.